Contents : Different Herbal Extracts as root activators: Achyranpts Aspera, Ocium Sanctum, Sarcasaraca Indica, Wetting Agent, Aqua Solution. K-UP makes availability of Potash to the plant which is abundantly present in soil. This Potash is not absorbed by root as the Potash molecule is bigger in size comparatively to Nitrogen and Phosphorous. 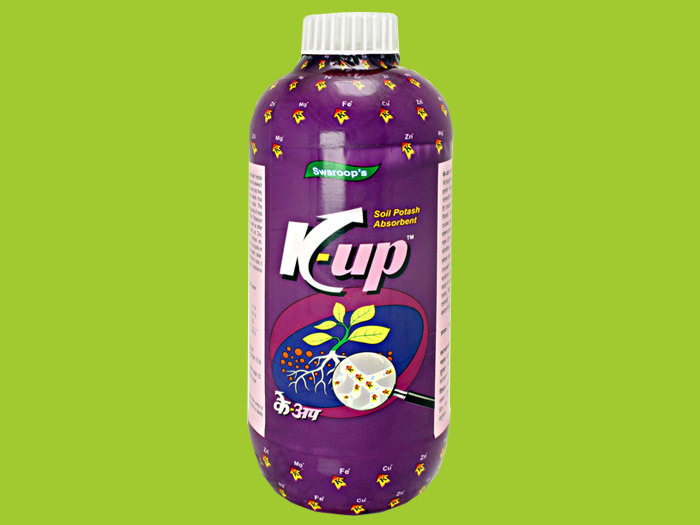 K-UP when sprayed on plant or drenched near roots, activates the roots in such a way that the distance between the cell walls increase and roots become turgid. Due to this big size Potash molecules are absorbed by the roots. 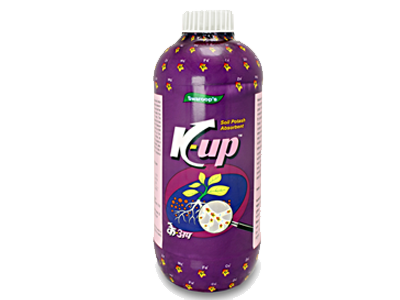 Potash availability due to K-UP spray on leaves increase sugar contents taste, weight, colour and shelf life of fruit. It also improves disease resistance capacity of Plant. Contents : Different Herbal Extracts as activators: Adhatoda Vasaaka, Crotolaria, Wetting Agent, Aqua Solvent N-Grow is complete Organic & Biologically activated herbal liquid formulation. 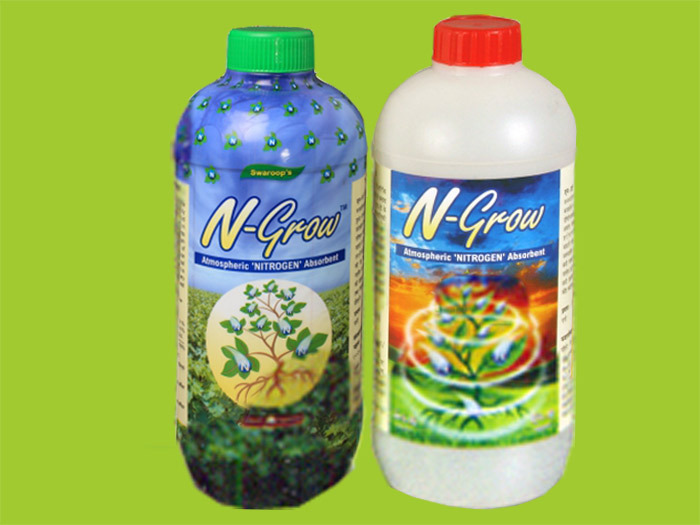 N-grow absorbs Nitrogen present in atmosphere which amount to 70-80%. 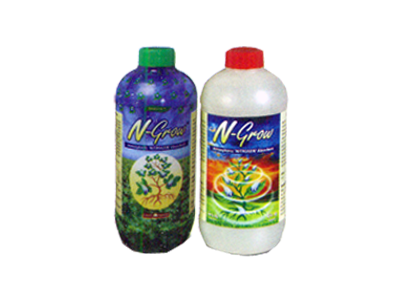 N-grow has to be spread on plants covering complete foliage. This Nitrogen is used by plants to produce natural Amino Acids in plant body. Due to formation of amino acids, there is visible vegetative growth of plants. This can reduce the need of Chemical Nitrogen.Absorbed Nitrogen being in pure and natural form did not form watery tissues in plants which avoids infestation of insects and pests. 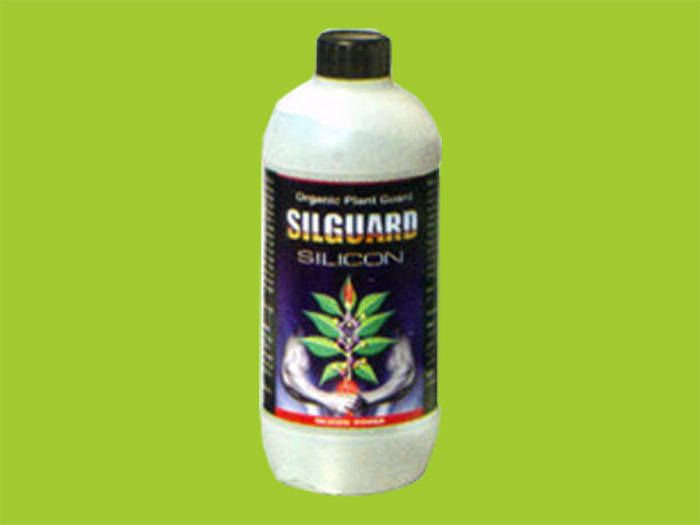 Contents : Different Herbal Extracts as root activators: Cynodon Dactylon, Glycyrrhiza Globra, Surfactant, Aqua Solution Silguard makes availability of Silica to the plant which is already present in soil to the extent of around 60-70%. This Silica is not absorbed by normal and weak roots. 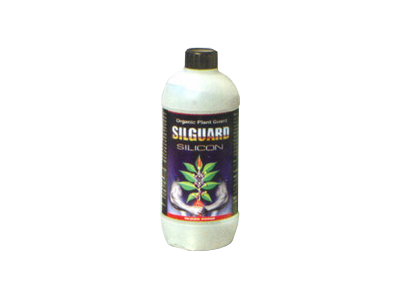 Silguard sprayed on plant or drenched near roots, activates the roots in such a way that vacuum is created from steam up to the roots. This helps roots to absorb Silica from soil. Absorbed Silica forms a protective shield around plant as it gets deposited in cell membrane. The leaves become thicker and hence it can resist the insect bite as well as fungus attack. It also helps in reducing the water evaporation.It also makes plant more resistant to changing climatic conditions. For all Horticulture and Vegetable Crops. 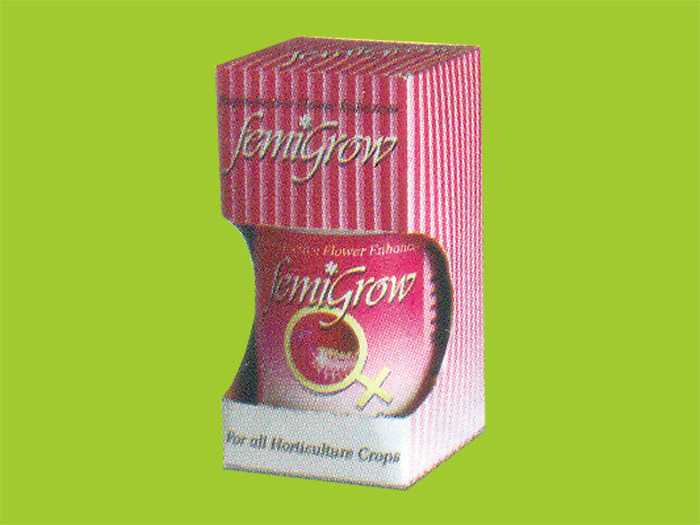 Femigrow is an unique herbal product which increases the number of reproductive flowers. 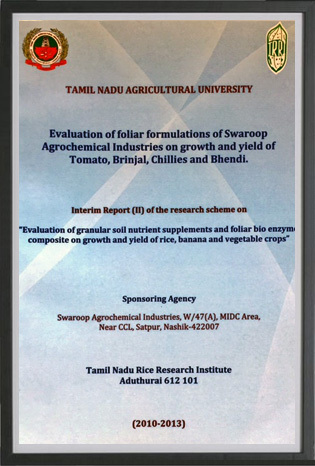 This results is more fruit formation & hence the final yield increases by 30-40 % Femigrow also reduces the flower & fruit dropping. 1st spray - 25-30 days before flowering starts. 2nd spray - 15-20 days after flowering. Use for all types of Vegetables & Horticulture crops such as Mango, Citrus,Papaya, Pomegranates etc. 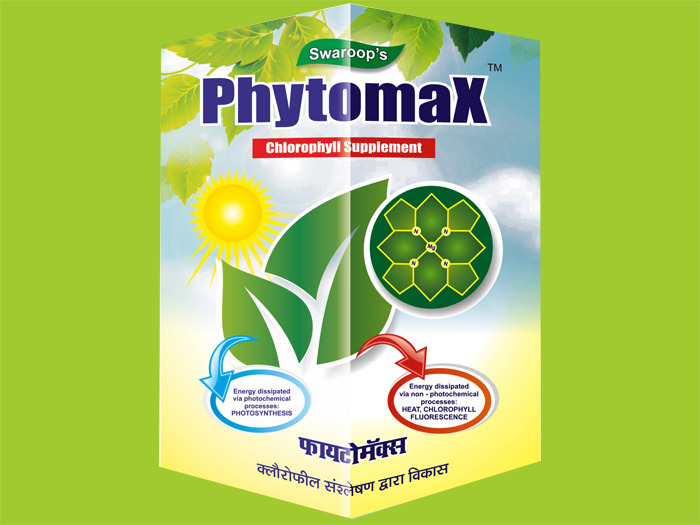 Phytomax is a modern researched and unique product. 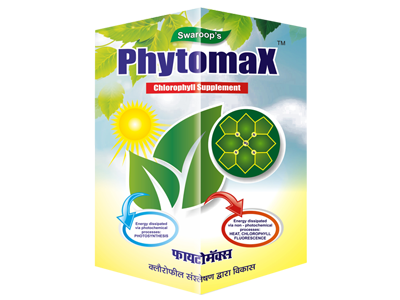 Phytomax when sprayed on leaves provides phytochemical which are part of Chlorophyll. Hence it acts as a chlorophyll supplement. Chlorophyll in presence of sunlight prepares food for plants by the process of Photosynthesis which in turn gives complete growth of plant. It gives profuse vegetative growth with dark green coloured leaves. It also aids formation of shoots. 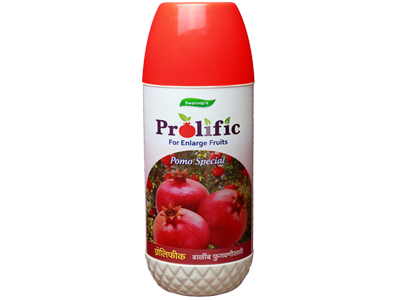 Prolific is a specially formulated and researched product to increase size, weight and yield of pomegranate. Prolific contains and endogenous hormone and Amino Acids which most active and efficient. 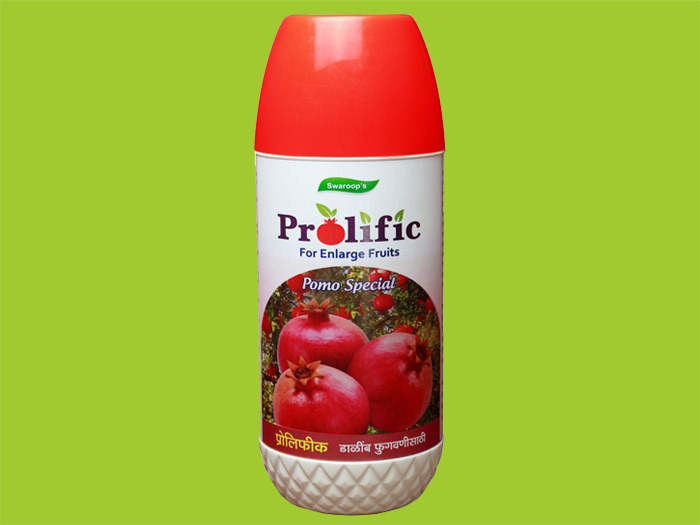 Prolific stimulates inherent potential of plant increases photosynthesis and promote plant growth of pomegranate. Prolific also activates root growth, root increase and grow deeper into the soil. Prolific promote the differentiation and formation of flower bud and hence increases number of pomegranate, fruits and yield. Prolific makes plant more robust. Prevents flower and fruit dropping in pomegranate plant. Prolific enlarges pomegranate size rapidly color fruits earlier improve appearance and shape of fruits. Dosage : Mix 2 ml Prolific per Litre water & spray. 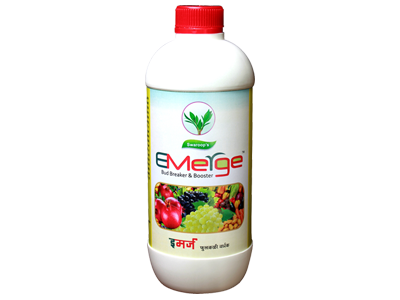 Emerge is unique formulation for Horticulture plants to get ensure safe, secure and quick bud breaking in grapes, pomegranate, vegetables and fruits. 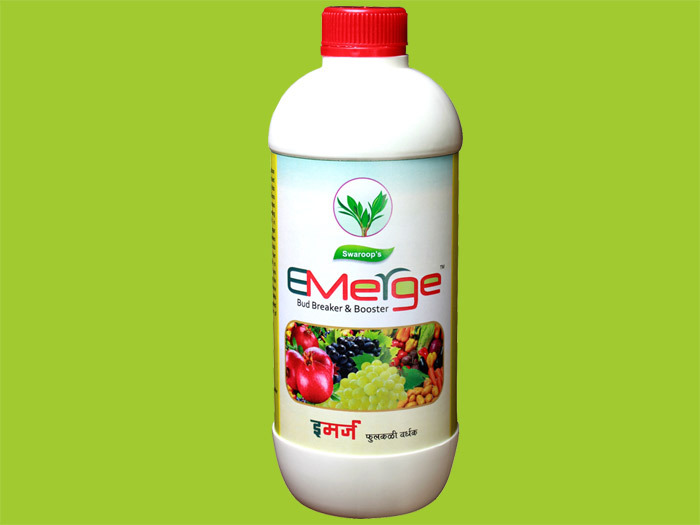 Emerge promotes fruitfulness through its enzyme activating property. These enzymes involved in conversion of carbohydrates to Ribose sugar which is component of RNA. Thus it increases bud initiation and differentiation and makes buds more fertile. Emerge increases number of bunch per vine in grapes and number of fruits in vegetables and fruits. Emerge also contains Amino acids which are precursors for protein synthesis and promotes photo synthesis activity. It increases membrane permeability and ion transport in cells. 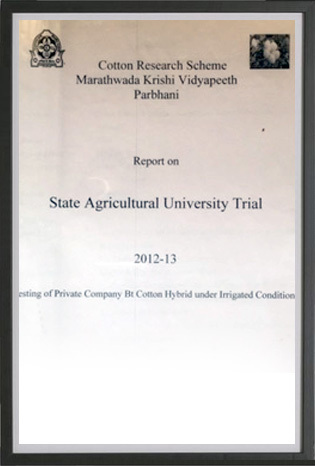 Thus it gives increased vegetative growth, increase in number of flowers and fruits in plants. Dosage : Mix 2 ml Emerge per Litre water & spray at bud breaking stage. Sugar Up gives uniform harvest of succulent fruit with high brix levels (TSS) and also imparts attractive color to fruits. Sugar Up reduces fibre content in fruits. Dosage - 1 litre Sugar Up in 200 litre water. 2.5 litre Sugar Up for 1 hectare. Application Time - Single Spray 35 to 40 days prior to fruit harvest. Method of Application - Spray to cover the total crop canopy including foliage, fruit and tender branches. 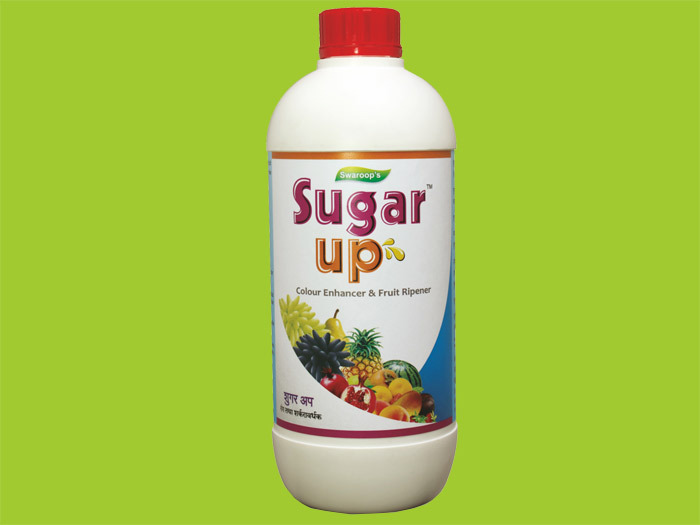 Sugar Up is safe for spraying edible and non-edible portions of the crop as per the instructions. 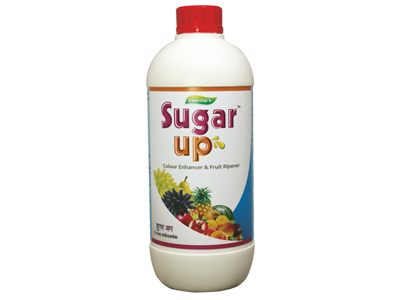 Sugar Up helps to increase brix level of Grapes, Mango, Strawberry, Apple, Orange, Watermelon, Pineapple etc.